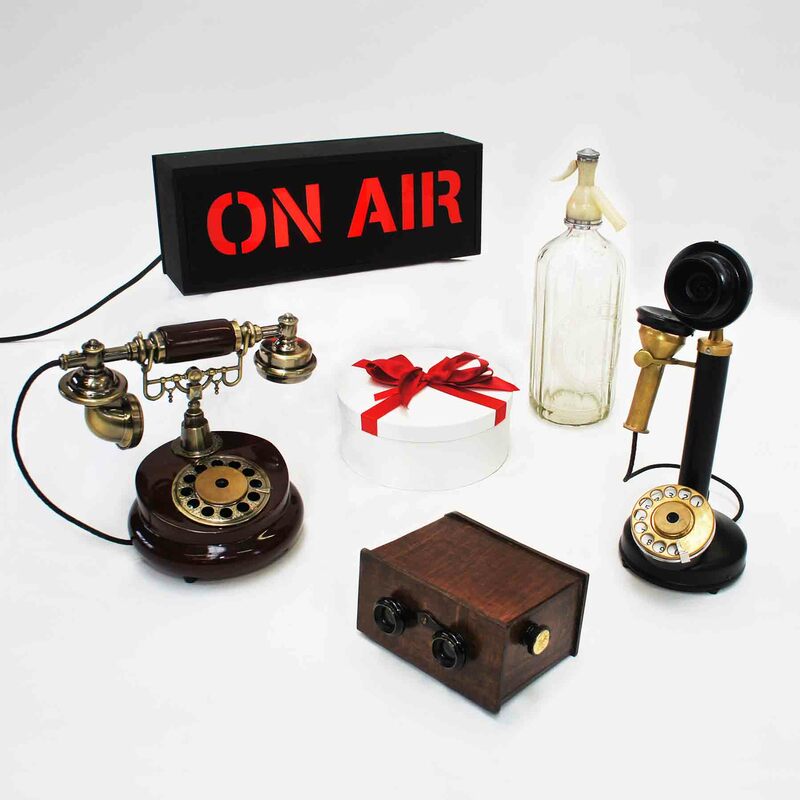 This stage prop kit is perfect for adding atmosphere to any 1920’s production! 1x Ornate style phone (like Dandy Dan’s) The style of the phone prop you receive may vary slightly from the one pictured. PLEASE NOTE: With the exception of the working “ON AIR” sign none of the items are in working order BUT they make very affective props! Check out our other Stage Props kit here!